Next mass is on Friday 30th October. 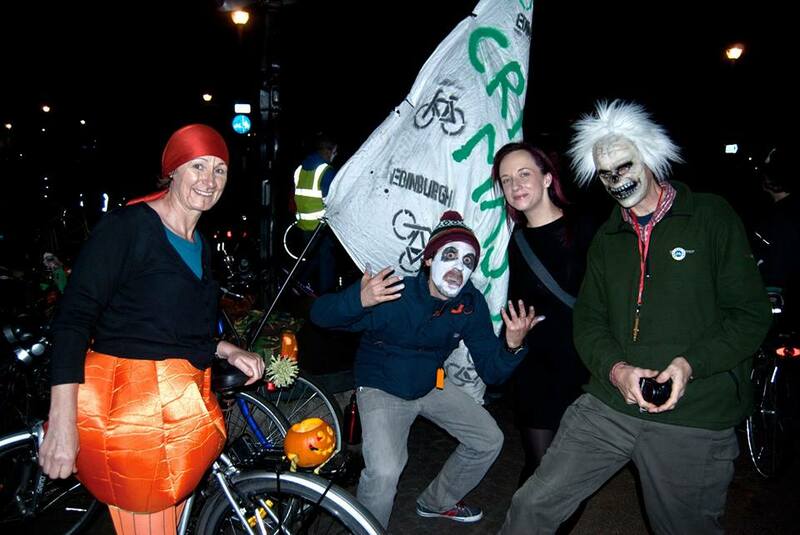 Let’s make it a spooky one with creepy costumes, pumpkin laden bikes, painted faces…whatever works for you!!! Afterwards we’ll head to ACE to watch a film. Current proposals are for something with a halloween theme. Suggestions welcome. When and where? Friday 30th October 2014 5.30pm outside the Scottish National Gallery on The Mound to leave just after 6pm (for those that miss us at 6pm there will be a 2ND MEET POINT AT MEADOWS PARK AT 7PM – bottom of the Quartermile, in the middle of Middle Meadow Walk). Probably they’ll be some face paints about. What? Cyclists taking to the streets en masse.